Many SeaWorld orcas were on daily drugs to treat chronic stress, several of the park's former trainers have told The Dodo. "We had whales who were on medication every single day of their life," said John Hargrove, who was a trainer at SeaWorld San Diego and SeaWorld San Antonio for a combined 14 years. Hargrove recently wrote a book about his experience at the park. The Dodo spoke to Hargrove and former trainers Samantha Berg, John Jett, Carol Ray and Jeffrey Ventre about the medications they administered to captive orcas at SeaWorld's three parks. From antipsychotics (to decrease testosterone) to benzodiazepines (to calm the animals), the orcas needed a wealth of drugs to survive in a tank, and some of the drugs were so powerful they even put humans administering them at risk, the trainers allege. While supporters of orca captivity argue that these drugs help orcas stay healthy, marine mammal scientist Naomi Rose of the Animal Welfare Institute told The Dodo that life in a tank is the root of the problem. "I can respond with confidence that all of these medications are given as a result of problems associated with captivity," she said. "Wild orcas don't get any medications at all and they seem to do just fine." Tagamet, an antacid used to treat ulcers, was given daily to all the adult orcas, according to Ray, a trainer who worked at SeaWorld Orlando from 1987 to 1990. Ulcers are a problem in many captive marine mammals and are often related to stress and environment. In his book "Death at SeaWorld," journalist David Kirby chronicles the use of Tagamet at the marine park. According to Jett, who was a trainer at SeaWorld Orlando for four years in the 1990s, some of the orcas were "nearly always on antibiotics," like Clindamycin, to prevent infections. Whales in captivity are susceptible to tooth infections because they damage their teeth on concrete surfaces, and infection from injuries caused by other whales crammed into tanks with them. Antibiotics, in turn, can make cetaceans (whales, porpoises and dolphins) prone to fungal infections, so the trainers also injected the fish they ate with an antifungal medicine called Nystatin, trainers said. 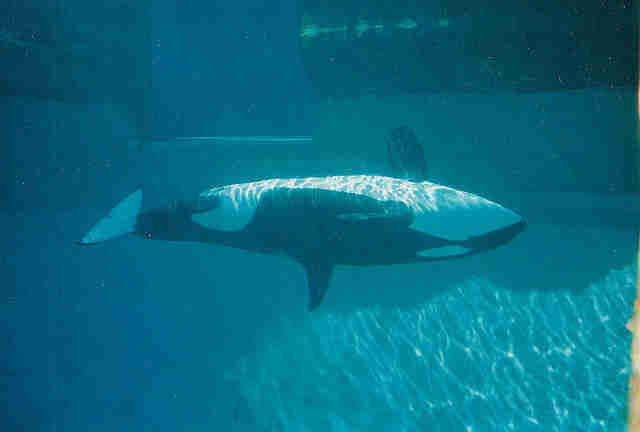 Kirby discussed the use of antibiotics in his book, noting that "trainers routinely stuff the gills of fish with antibiotics, antacids and vitamins ... "
"When [an orca named] Val was becoming sexually mature, we gave him an antipsychotic drug to drastically decrease his testosterone level," said Hargrove, who resigned from SeaWorld in 2012. "I would swim with him in the water and he would be so looped up. We would have no idea what's going on in his mind because he's so out of it." Diazepam, the generic for Valium, was used to keep the animals calm in their stressful environments, trainers say. Court documents also show that the company gave the drug to a nursing mother of a 9-day-old calf, in violation of medical guidelines. A 2004 paper published by Todd Robeck, SeaWorld's head of orca breeding, describes the use of Regu-Mate to stimulate ovulation in female whales. Such contraceptives were used to regulate pregnancy, Hargrove said, but he added that with some drugs, the chemicals were so strong they could only be administered by male trainers. "They could potentially cause a female trainer to become sterile," Hargrove explained. "We [the male trainers] would have to wear gloves, inject it into fish and put it on special plate. Afterwards, everything had to be sterilized and bleached." Orcas have also reportedly received other medications, including up to 80 pounds of gelatin a day to prevent dehydration. 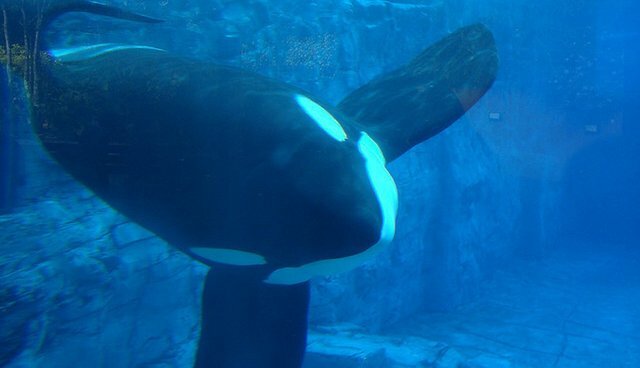 Trainers allege that through all of this, SeaWorld was allowing them to swim right next to whales who had been given serious medications, expressing concerns that their own safety was being jeopardized. 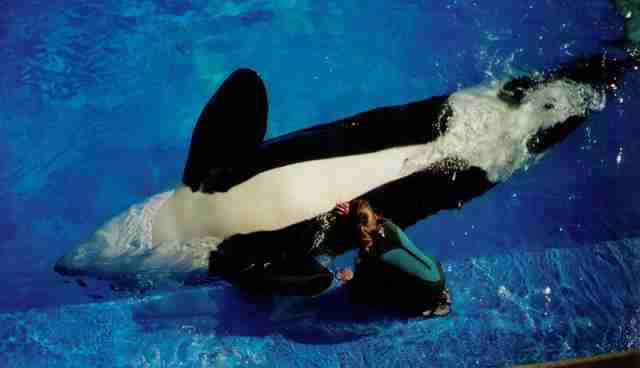 Following the death of trainer Dawn Brancheau in 2010, trainers are no longer allowed to swim with orcas. But for the whales, a life of medicated solitude in a tiny tank continues.